Excellent, thank you Einstein. 😉 There are aspects of ourselves that remain operating in our ‘default setting’ until we override this, via our conscious development. When we become aware enough we can take command of each part of our self, our ego included. 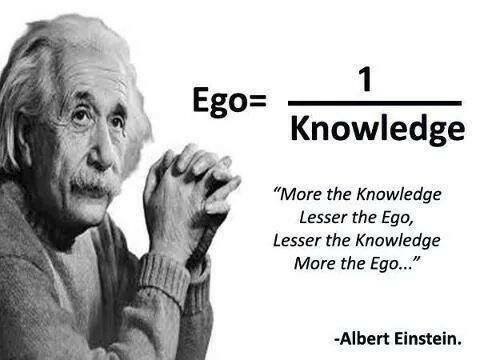 Ego is an important part of a human being. All ego is, is our identity construct we operate out of, here on earth. Once we have built our self a framework or foundation out of which we can effectively and confidently operate from, we can let ego ‘go’. Before this, it is our ego that tells us that our status in a community with other humans matters. It differs if we are a man or a woman of course, as our needs of it and dependency on it, differ. And as is our design. Ego will stand in the way of the development of every other aspect of our self. It is a sign of our own advancement how much we let it control what we do, or how we control it. Once we have made our self feel secure with our self and our surroundings, we can move past – or transition – focus on our ego.